Good morning and hello everyone! Just one more day before the new year. This year went by so quickly for me. Unbelievable! It has been busy year and a roll-coaster of a year. I wish next year would be a bit slower and enjoyable. I can only wish as nobody knows whats in store in future. I have a rainbow card to share with you today. This is a Pretty Pink Posh card. My favourite set from the Pretty Pink Posh release is the Rainy Days stamp set. I LOVE the umbrellas and the sentiments on this set. There is also lots of smilie faces and rain drops in the set as well. Awesome set. 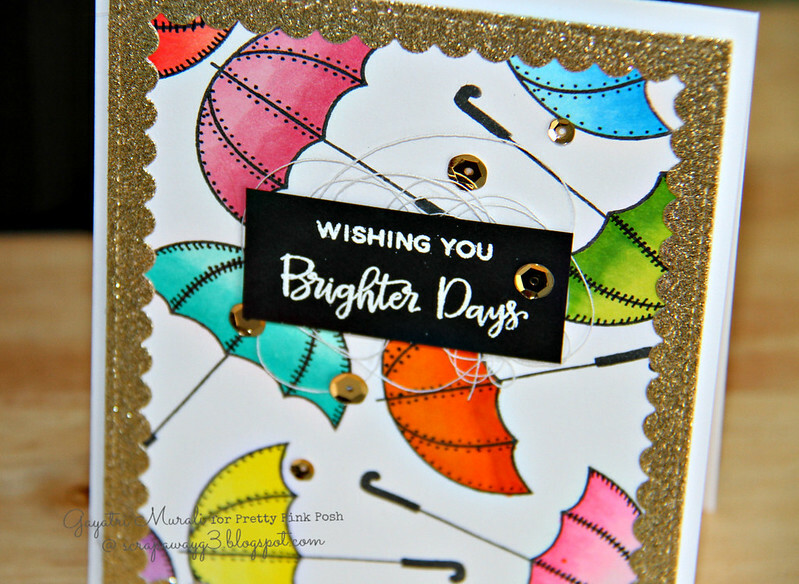 On my card, I stamped the outline of the umbrella randomly on a card panel and coloured them with copic markers. I used rainbow colours and added some shading on the umbrellas. The sentiment is also from the same stamp set which I white heat embossed on black cardstock, trimmed and adhered with some bunched up thread. I then embellished with gold metallic sequins also from Pretty Pink Posh. Here is a closeup. This is a great card to send somebody who is feeling a bit down or under the weather. Or even as a nice gesture to any friend. Hope you like it. 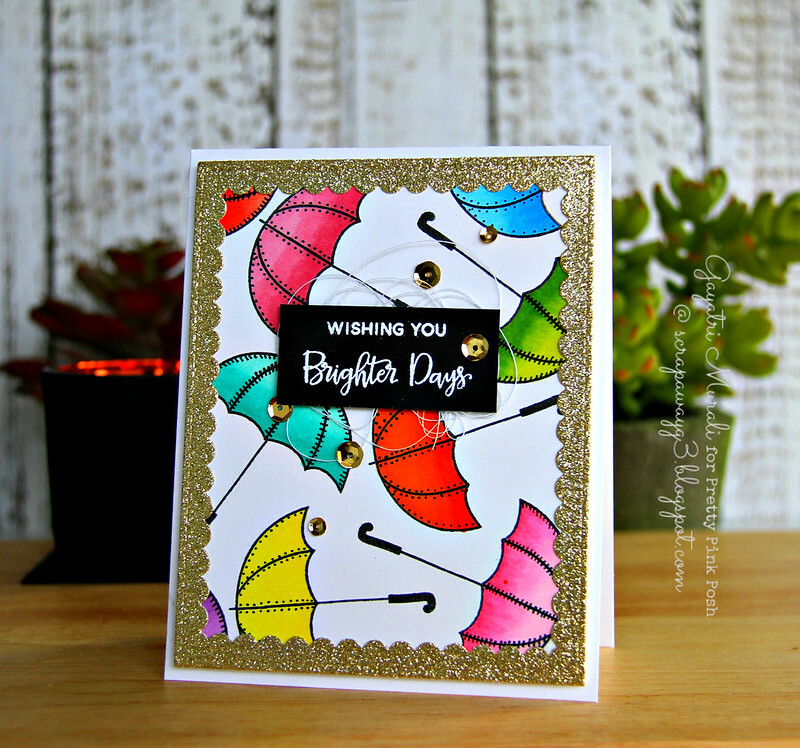 Your colorful umbrellas framed in sparkly gold are so pretty Gayatri!! Wishing you a Happy New Year, one that slows down a bit for you!! So pretty, Gayatri – love that gold glittery border! Wanted to thank you for your lovely Christmas card – I love it!